Google Street View plays havoc with your sense of distance. I’m just saying that in my defence, for almost overshooting a turning yesterday. But more of that later. The occasion was a wedding duty from Bristol to Claverham with Bristol LD6G 969EHW (L8515 in the Bath Services fleet). It was a reasonably straightforward duty, as jobs go. The Crosville depot was strangely deserted when I arrived at about lunchtime. The garage was locked up and the only person on site, apart from some electricity engineers nearby, was Simon, my conductor. Our bus was parked up, all ready to go, alongside a modern bus. With time to spare, I did my walkaround checks and ate some lunch. We set off up the A370 towards Bristol city centre where we were to pick up a wedding party from the Registry Office. Our rostered Lodekka has a 5-speed gearbox which enabled us to make good time into the city. In fact we were about 30 minutes early so I pulled into a bus layover point near Temple Meads station. It only took us 5 minutes to drive around to the Registry Office. 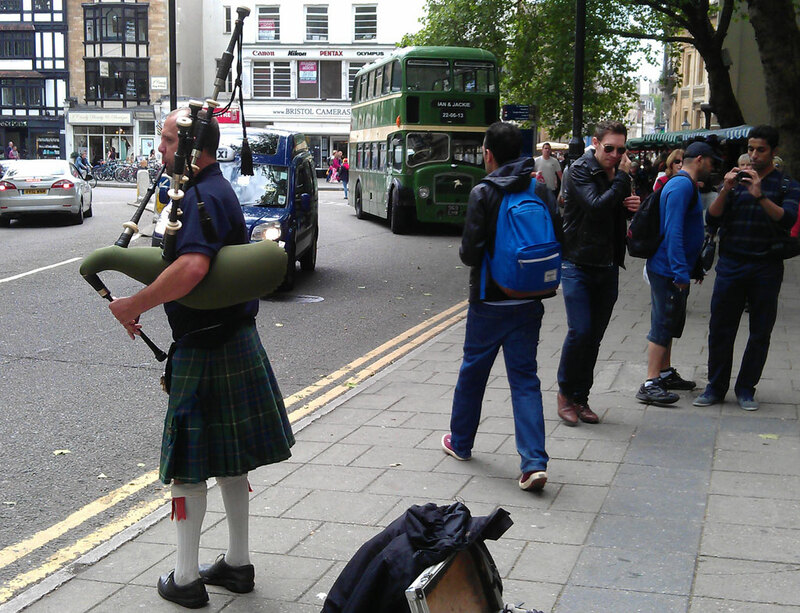 We still had a while to wait for our guests to appear so I took this photo of a piper busking in the street a short distance away. As per usual, several people stopped to admire the bus so Simon and I chatted to them and told them why we were there. Eventually a crowd of smartly dressed people emerged from the doorway of the Registry Office and filtered through the shoppers and tourists towards the bus. We ended up with a very full load, in fact I don’t think there was a single spare seat anywhere. I felt the difference as soon as I drove off, having had 2 bells from Simon. The bus felt very heavy, slow to accelerate and harder to stop! Fortunately our progress was slow through the city traffic, allowing me time to adjust my driving to suit the heavy load. I took my 1967 Morris Minor along to the Morris Centenary Rally at Cornbury Park, Oxfordshire last weekend. I was very pleased to see this very smartly presented AEC Regent V being used as the rally control point and commentary position. Sadly it didn’t move during the weekend, nor was I able to see inside as it was in continuous use by orgainsers, marshals and commentators. 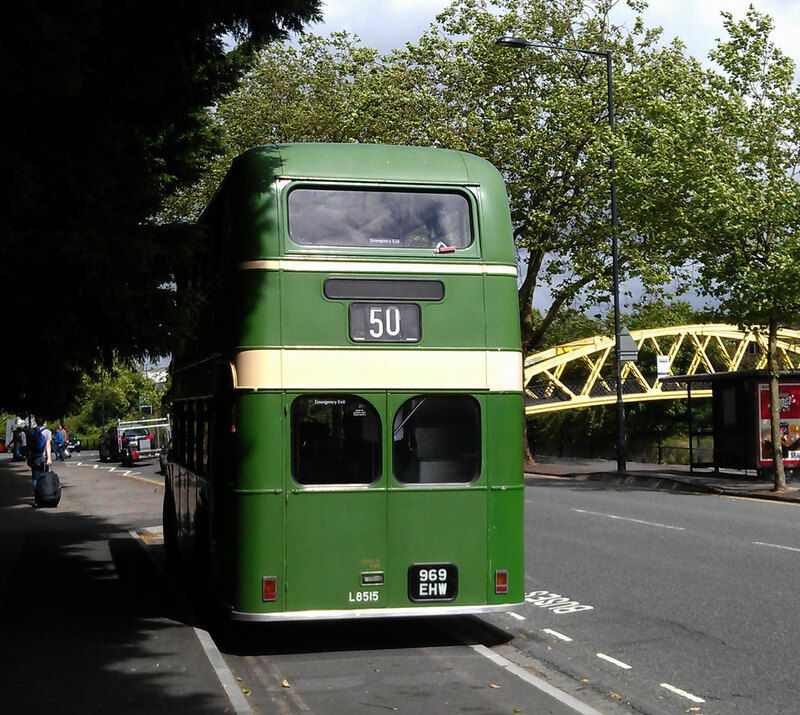 Now in the care of the Southampton & District Transport Heritage Trust, 373FCR was operated by City of Southampton. It has East Lancs bodywork and is fitted with an AEC AV590 9.6 litre engine. The main purpose of the weekend was to celebrate 100 years since Morris Motors was established. Strongly represented, as you would expect, was the Morris Minor model in all its forms. Some people have estimated that there were about 1,000 of these iconic cars on the rally field and I can well believe it. 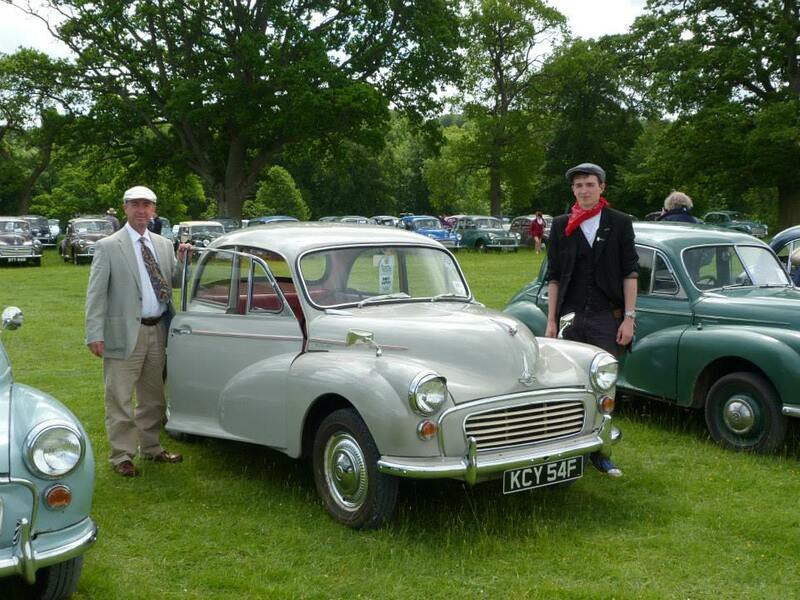 There were Morris Minors for as far as the eye could see! It seems that people are starting to search my blog (and on Google) for details about the Crosville Bus Rally (also known as the Weston-super-Mare Running Day) but are finding pages from my blog from the 2012 event. For your information, this year’s event is on Sunday September 1st, 2013 and will follow roughly the same format as last year’s. Some of the free heritage bus trips will be shorter and the only timetabled service to run with heritage buses will be the Service 100 to Sand Bay. 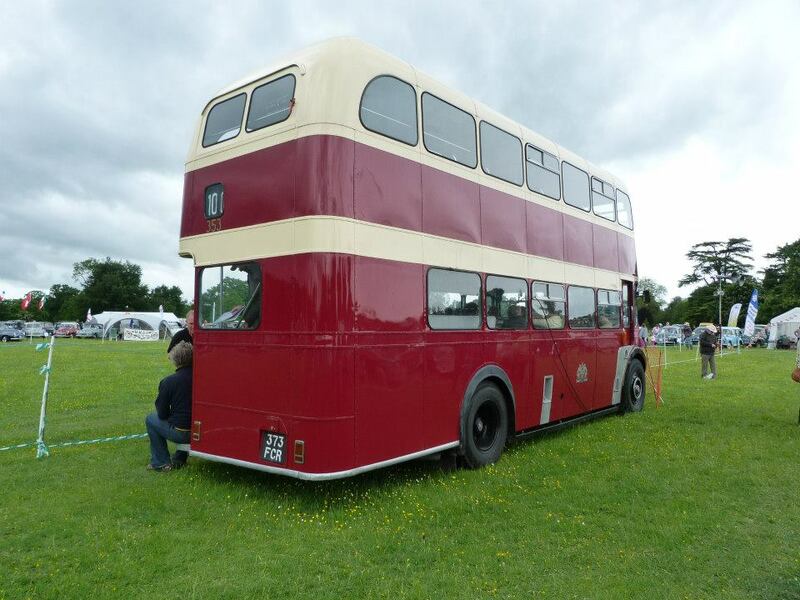 This will be run by the usual open top Olympians but duplicates will also run, probably an open top Bristol Lodekka and an open top Bristol VR. 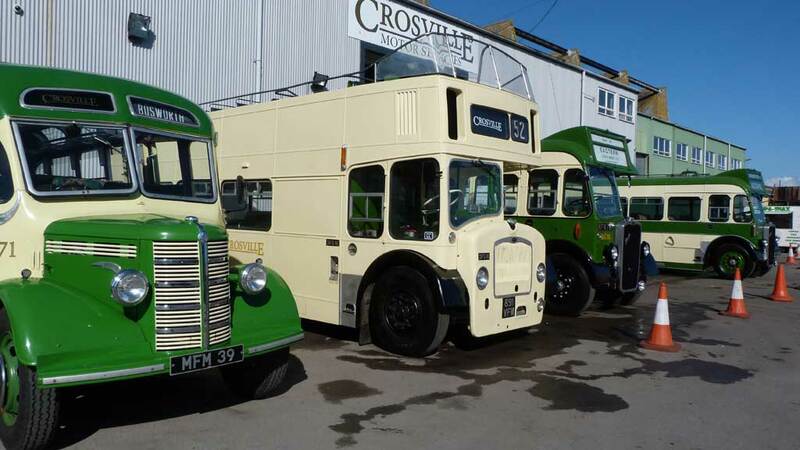 If you have a bus you’d like to enter or want to bring a stall, watch the Crosville Motor Services website for details. Entry forms will be available on the site soon. More information will be posted as and when it is confirmed. It should be a great event and, if the sun shines like last year, should attract a good crowd so put it in your diary now! I hope to be driving something interesting during the day so, if you see me, come and say “hello”. In order to keep my professional driving qualification current I have to undergo regular classroom training. The rules of the Driver Certificate of Professional Competence (CPC) state that, for newly qualified drivers such as me, I have to do 35 hours of training within 5 years of gaining my initial CPC entitlement. I took the first module a few days ago – a day-long course on driving hours and tachographs that left my head spinning by the end! Fortunately I didn’t have to go very far to do this, in fact I booked with SRTS in Exeter, just a stone’s throw from the VOSA Test Centre where I passed my test last year. There were 4 other guys taking the same module that day, making the session very easy to contribute and ask questions during the day. Usually, when the room is full with 25 participants, interaction is difficult. The course doesn’t have a test element, although we did do 2 simple quizzes to test our knowledge. There being no pressure to pass or fail, I found it a much better environment in which to absorb the information. I succumb very easily to nerves in a test or exam situation! The trainer knew his subject back to front but struggled on the day with a very sore throat and a gravelly voice that threatened to break up and disappear altogether. On the feedback form at the end I gave him 10 out of 10 for persistence in the face of adversity! 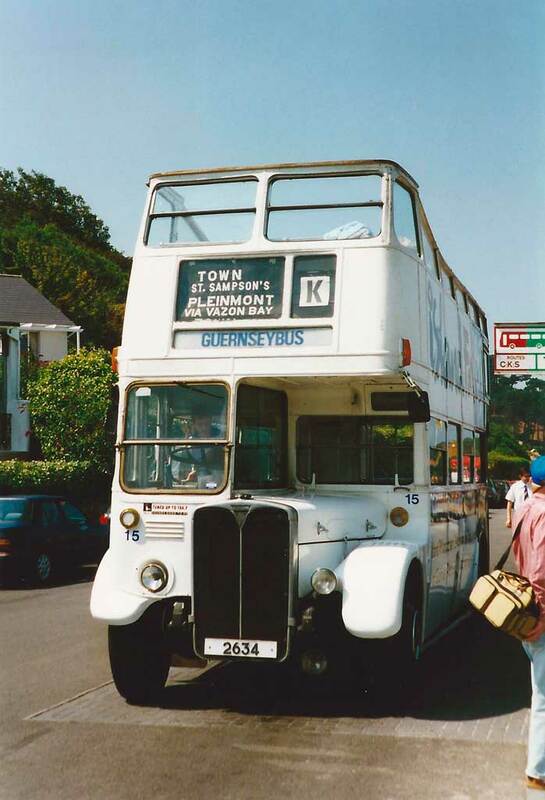 Looking back in my family archives I came across this photo of ex-London Transport AEC Regent III, RT 1377 when operating with Guernseybus in the 1990s. The bus has been on the island of Malta since 2008 and the BusWeb site carries this snippet of information about it: “Originally London Transport RT1377 (KXW 476), this AEC Regent III operated for many years as an open-topper on the island of Guernsey, first with Guernseybus and then with Island FM as a publicity vehicle. It arrived on Malta in 2008 and is pictured in March 2009 in as acquired condition. The intention was to use it on sightseeing tours, but it never entered service and is now with the Malta Historic Vehicle Trust. The young chap in the driver’s seat in the photo above is my eldest son, who shares my interest in historic transport. He’s grown up with his own family now but last year sampled the cab of a Crosville Bristol L5G when I passed through his neck of the woods last year. What is it about Dads? We feel constrained to put our young children in the driver’s seat of any old bus we come across! I did the same with the old RT on Guernsey. 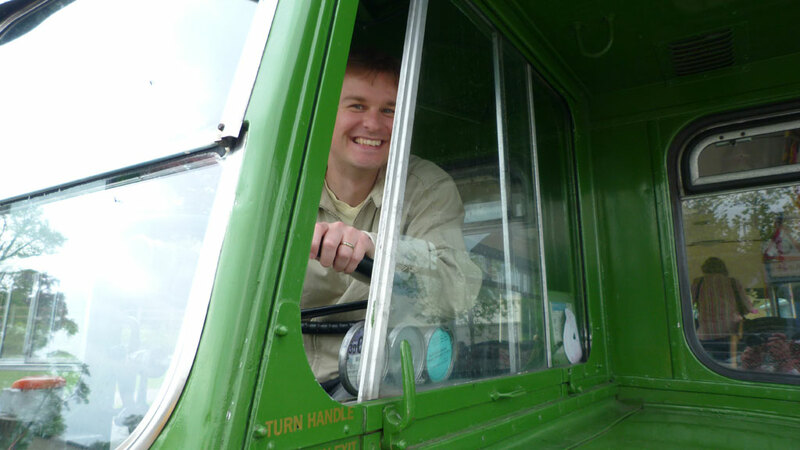 In the back of my mind I was trying to re-create the photo my Dad took of me in the cab of a Lodekka when I was about 4. How could I turn down the opportunity to do the same?! 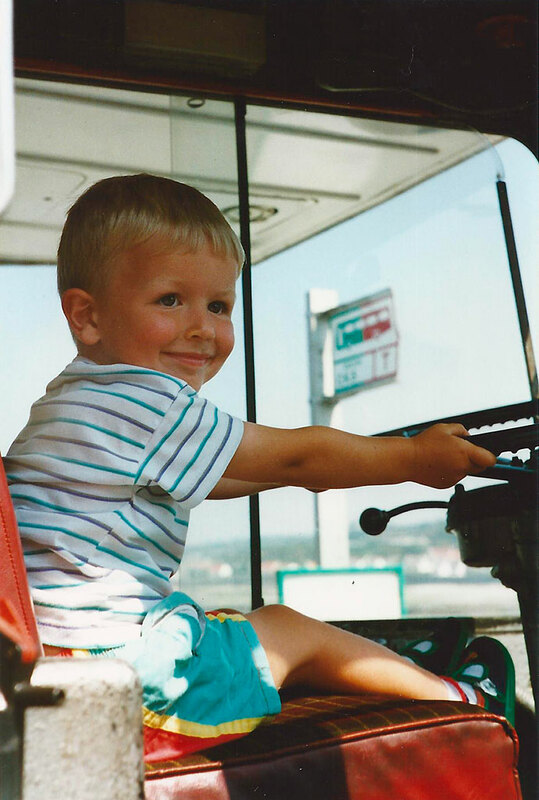 So here’s young son Peter in the cab of RT1377. If you have been following this blog for some time you will have seen evidence that Peter joins me sometimes as bus conductor. 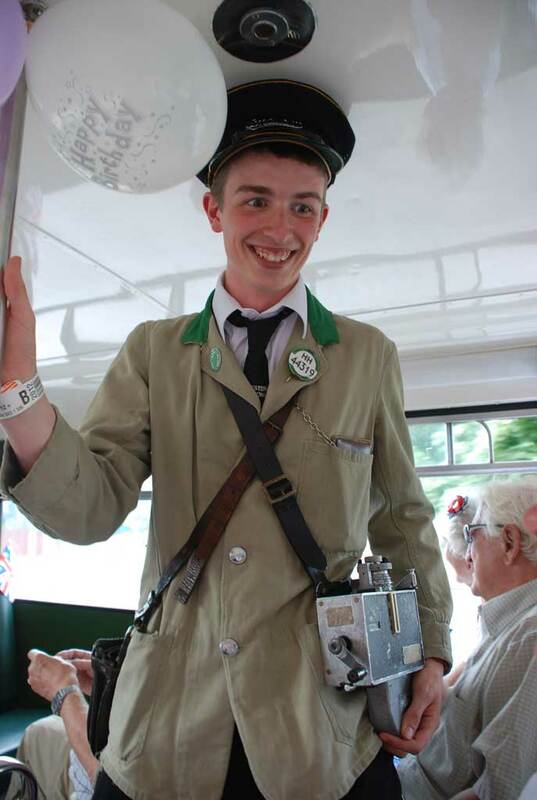 I’m delighted that, although he never saw half-cab buses in service, he’s developed an affinity for the old days and is more than happy to don a Tilling uniform and run the platform on special occasions.